The Wizards never make things easy on themselves, huh? Washington fends off a late fourth-quarter surge by the Memphis Grizzlies to hang on for the 102-100 victory. The House of Guards led the way for Washington combining for 59 points (Beal with 34, Wall with 25) and Markieff Morris added 12 points to go along with a season-high 17 rebounds as the Wizards notch their fourth straight victory. The Wizards led 86-70 late in the third quarter and it looked like it would be easy sailing the rest of the way. But, as we’ve become accustomed to, the Wizards 16-point lead quickly vanished and was cut to one, 98-97 with just 17.9 seconds remaining. Fortunately for the Wizards, they were able to knock down their free throws late and avoid a complete disaster. Both John Wall and Bradley Beal were terrific tonight turning in one of their best games of the season as a duo. As mentioned, the duo combined for 59 points on 17-34 shooting (50 percent) including going 8-15 (53 percent) from three-point range all while chipping in with 14 assists. John Wall literally could not miss early on as he connected on his first five field goals of the game for 12 quick points. But more importantly, he had his burst back and was constantly looking to push the ball; something we haven’t really seen since he’s returned from injury. In vintage House of Guards fashion, Wall pushed the ball in transition forcing to the defense to collapse on him only to kick the ball out to a wide-open Beal for three. 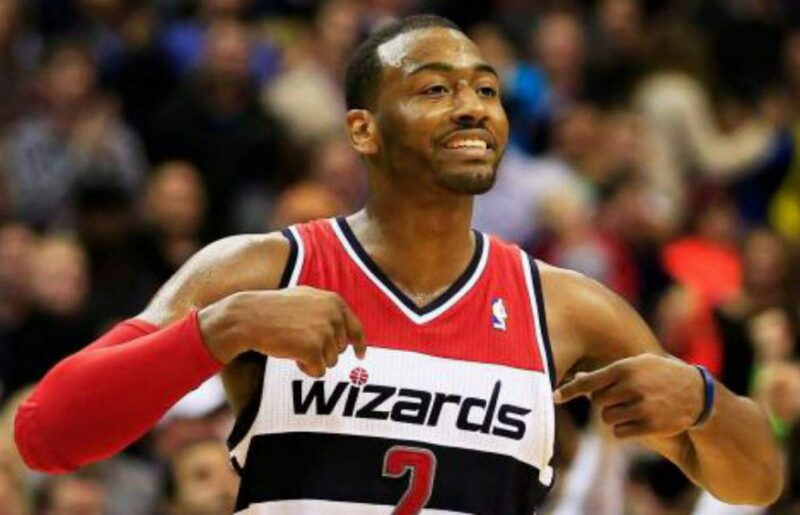 There was a sequence in the second quarter where Wall came up with the steal, dished it to a streaking Beal as the two ran a two-on-one ending in an easy dunk for Washington. This isn’t exactly breaking news but when both of these guys are clicking, the Wizards are a very tough team to beat. How’s that for #analysis? Markieff Morris looked like a man on a mission tonight, especially on the defensive end. Morris ended the night with 12 points and 17 rebounds to go along with two blocks. Morris was engaged from the very beginning and you could tell by his energy on the defensive end. Morris was very active on the glass, fighting for loose balls, and was grabbing everything in sight as he snagged nine rebounds by halftime. There was a sequence in the third quarter where Morris blocked a Marc Gasol layup then ran down on the other end and finished the alley-oop layup. It was about this time last year that Morris turned things on for the Wizards that ended up in an extended winning streak. Let’s hope that happens this year too. Mike Scott continued his tear with 10 points on 4-6 shooting (66 percent) including 2-4 from three-point range. Otto Porter left the game early with a banged up hip. After his best performance of the season, Marcin Gortat came back to earth as he was just 3-12 from the field tonight. No time for rest as the Wizards take on the Milwaukee Bucks Saturday night back in D.C.